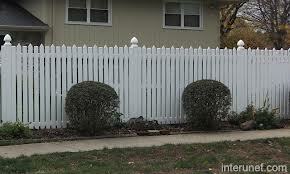 Interested in fencing your home or maybe just the back yard?, besides complementing your home or defining your property a fence helps to provide privacy and safeness , we install fences in a variety of materials and styles adding elegance to your home, either wood or vinyl we help you choose the right material to fit your home look and feel, low maintenance and durability. Call now we’ll make sure you get the look you want. commercial contracting and construction projects. We are licensed and insured commercial contractors, hotel contractors, retail contractors, office building contractors. Its not only a matter of privacy, but also a matter of enhancement, it wont take long until we find the perfect fence for your home, you can have it installed in no time and at really affordable prices, our professionals will help you chose the material and design of your new fence, our fence installation has a guarantee durability, coated with protective materials to avoid weather corrosion with time, all it takes is a phone call, to receive an estimate , no commitments! Keep us bookmarked because we provide all types of emergency services such as roofing in NYC for commercial or residential.